Welcome to the home you've been dreaming of! 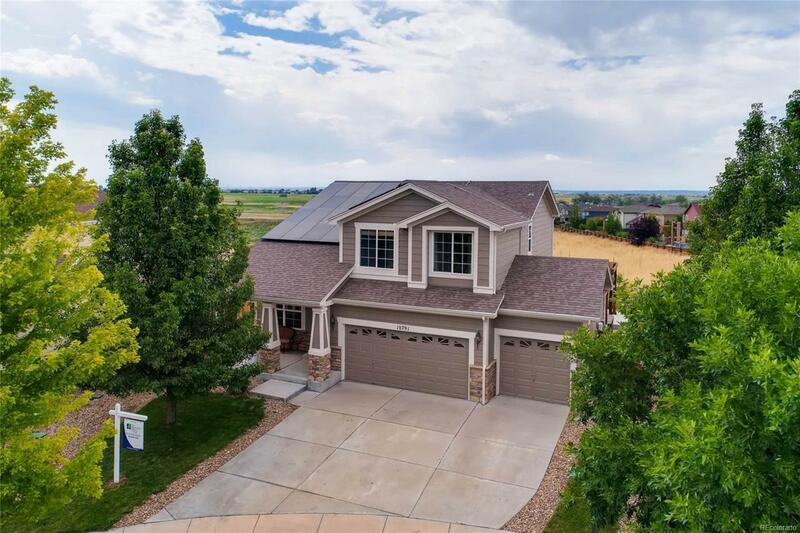 Inviting entry, flooded with natural light, vaulted ceiling, formal dining, large eat-in kitchen with newer stainless appliances, bar seating, open to living room with gas fireplace. 4 spacious bedrooms upstairs including a wonderful master suite, full hall bath and laundry. Master is a true retreat with vaulted ceiling, mountain view, 5 piece ensuite and walk-in closet featuring built-ins. Relax in the backyard paradise upgraded with spacious patio, pergola, landscape lighting, gorgeous mountain views and pad/electric hot tub ready. 3 car garage with workbench/storage included. Exterior painted 2017, solar panels PAID IN FULL to save on energy bills, whole house water softener with reverse osmosis, upgraded Bali blinds on many windows. Located in desirable neighborhood with parks, pool, LOWER PROPERTY TAXES. Convenient access to the new Bison Ridge Rec Center, Second Creek Trail system, shopping, DIA, downtown Denver.